The organising committee is especially interested in featuring the work from PhD research students and other early-career researchers. A confirmed keynote speaker is Prof. Andrea Russell from the University of Southampton, UK and Prof. Huijun Zhao from Griffith University, Australia. The 1st European Top-Down Proteomics Symposium is taking place from 12th – 14th Febraury, 2019, in Paris, France. Additionally, attendees will be encourage to take part in discussions on the future directions, challenges, and opportunities for top-down proteomics. 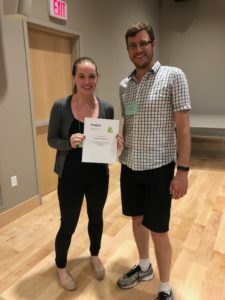 In addition to notable scientists, the meeting will also attract younger researchers who are building their careers and are looking to interact with leaders in the field. 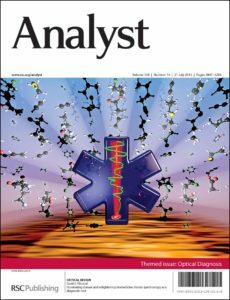 SciX 2018, a conference featuring cutting edge developments in analytical sciences, instrumentation and unique applications, was held in Altanta, GA from October 21-26, 2018. The Analyst Emerging Investigator Lectureship 2018 recognizes an early career analytical scientist to raise the profile of the analytical sciences to the wider scientific community and general public. This year’s winner was Dr Wei Min, Columbia University, USA. His current research interests focus on developing novel optical spectroscopy and microscopy technology to address biomedical problems. In particular, his group has made important contributions to the development of stimulated Raman scattering (SRS) microscopy and its broad application in biomedical imaging including bioorthogonal chemical imaging of small molecules and super-multiplex vibrational imaging. 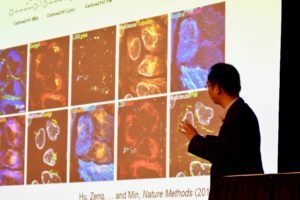 Wei gave a fascinating presentation during the Monday morning session, which was followed by a highly attended symposium of personally hand-picked speakers. Symposium speakers: Juergen Popp, Duncan Graham, Richard Zare, Wei Min, Lingyan Shi, Katsumasa Fujita. 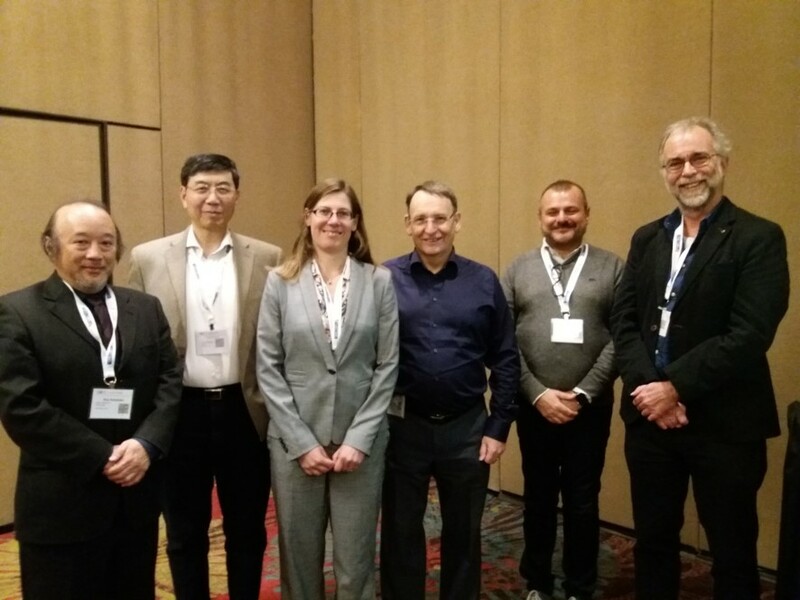 It also gives us great pleasure to announce that Analytical Methods Associate Editor Michael Roper and former Analytical Methods Editor-in-Chief Sue Lunte both received awards at SciX 2018. Michael Roper was the recipient of the AES Mid-Career Award. 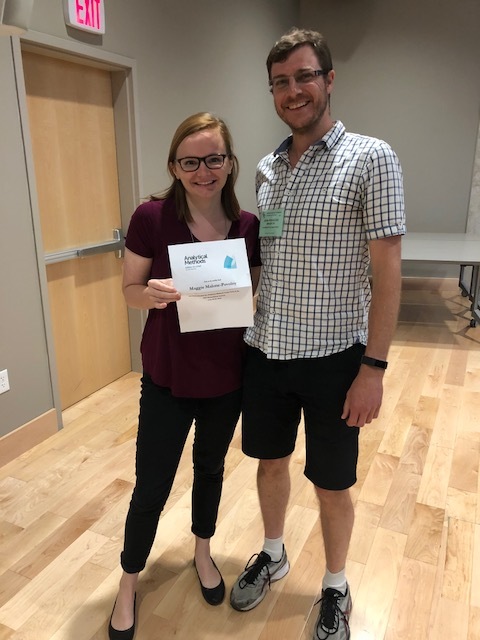 After being presented with his award, Michael delivered a plenary lecture titled “Electrophoretic Methods for Investigating Dynamic Behaviour of Pancreatic Cells”. 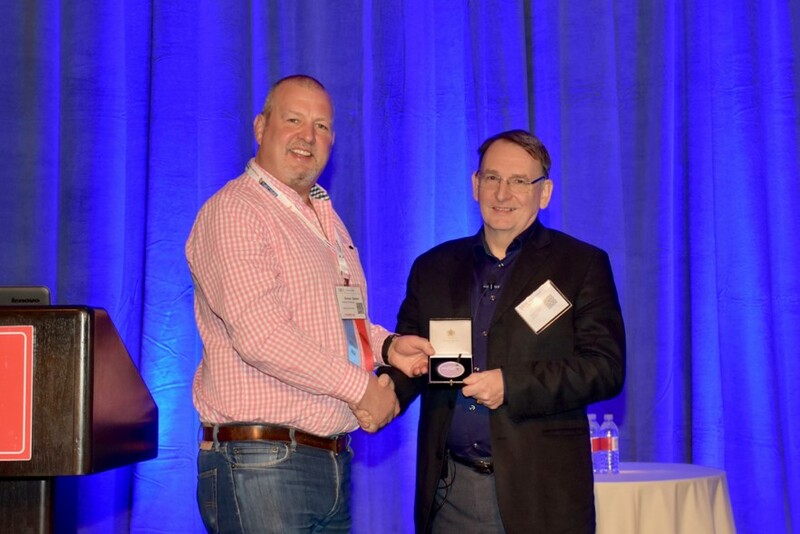 Analytical Methods Associate Editor Michael Roper (L) receives the AES Mid-Career Award. 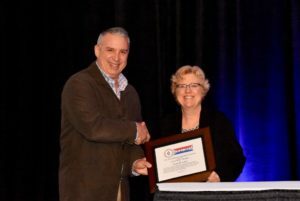 The ANACHEM Award was awarded to Sue Lunte, who delivered her plenary lecture “Adventures in Electrically Driven Miniaturized Separations Systems for Bioanalysis” on Thursday 25th October. Analytical Methods former Editor-in-Chief Sue Lunte (R) is presented with the ANACHEM Award by Professor Dana Spence. We are extremely proud of Michael and Sue. Congratulations on well-deserved awards. Are you going to be at SciX 2018? 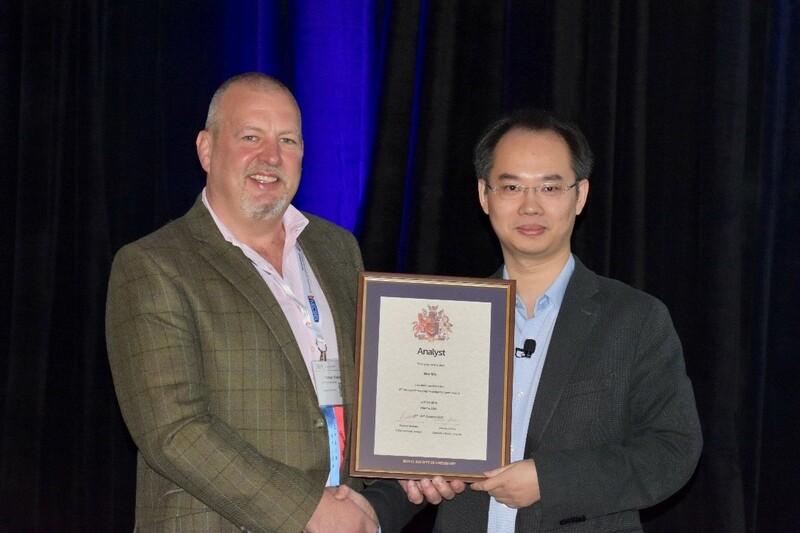 Analyst is proud to announce that Dr Wei Min (Columbia University, USA) is the winner of the 2018 Analyst Emerging Investigator Lectureship. Dr Min will be giving an award plenary on the topic of Seeing molecular vibrations: chemical imaging for biomedicine at 8:30 am on Monday 22 October. Two Board members of our sister journal Analytical Methods will be receiving prestigious awards at SciX 2018 and if you will be around, I encourage you to please do attend their plenary lectures and their award sessions. 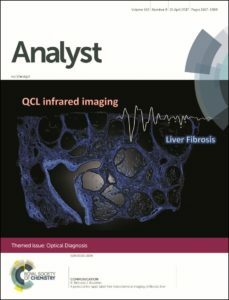 • Michael Roper, Analytical Methods Associate Editor will be receiving the 2018 AES Electrophoresis Mid Career Award and will be giving a plenary lecture at 8.30am on Wednesday 24 October. • Sue Lunte, former Editor-in-Chief of Analytical Methods and current Advisory Board member, will be receiving the 2018 Anachem Award and will be giving a plenary lecture at 8:00am on Thursday 25 October. Look out for our Royal Society of Chemistry booth, number 904, during the conference. Executive Editor Jeanne Andres (Analyst, Analytical Methods, JAAS) and Deputy Editor Rebecca Brodie (JAAS) will be attending the conference and look forward to meeting you at SciX 2018. The 34th International Symposium on Microscale Separations and Bioanalysis (MSB 2018) is to be held at the conference center of the Windsor Barra Hotel (Barra da Tijuca) in Rio de Janeiro, Brazil, from February 18-21, 2018. Since its inception in 1989 (Boston, Massachusetts, USA), MSB has evolved into an interactive forum for the discussion of cutting-edge research on the frontiers of separation science, spanning fundamental theory, method development, technology advancements to innovative applications relevant to human health, medicine, food and the environment. MSB 2018 centers on science and people by creating a confidential ambience that facilitates vigorous exchange between delegates. This edition will feature stimulating pre-conference short-courses, distinguished plenary speakers and a parallel program covering a wide spectrum of current microscale bioseparation techniques. A scientific program, where over 70% is based on submitted abstracts. A double-blind peer review process ensuring top science regardless of reputation or seniority. Oral presentations with 1/3 of the time reserved for active discussion. Topic sessions introduced and chaired by leading researchers. A young investigator session with rising stars in microscale separations. Poster sessions with selected 3-minute talks. Science Café lunch seminars by vendors presenting advances in commercial separation technology. Registration includes lunches, opening & closing receptions, and a symposium dinner at the iconic “Pão de Açúcar” (Sugar Loaf) scenic venue. Since the MSB 2018 date is just one week after Carnival in Rio, delegates are invited to come a day earlier to join a pre-symposium social activity: the Champion’s Parade of Rio Samba Schools on Feb. 17, 2018. SciX 2017, a conference featuring cutting edge developments in analytical sciences, instrumentation and unique applications, was held in Reno, NV from October 8-13, 2017. The Sir George Stokes Award recognizes outstanding and sustained contributions to analytical science by someone demonstrably working in a complementary field, which has led to developments of seminal importance to chemical analysis. It is awarded biennially and the winner is chosen by the Royal Society of Chemistry Analytical Division Awards Committee. 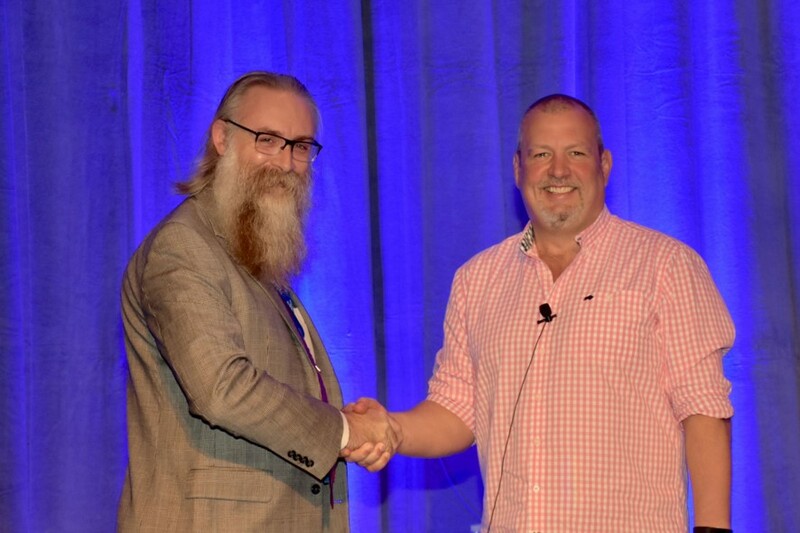 We are delighted to announce that this year the award was presented to Tony Cass from Imperial College London at SciX 2017 in Reno. 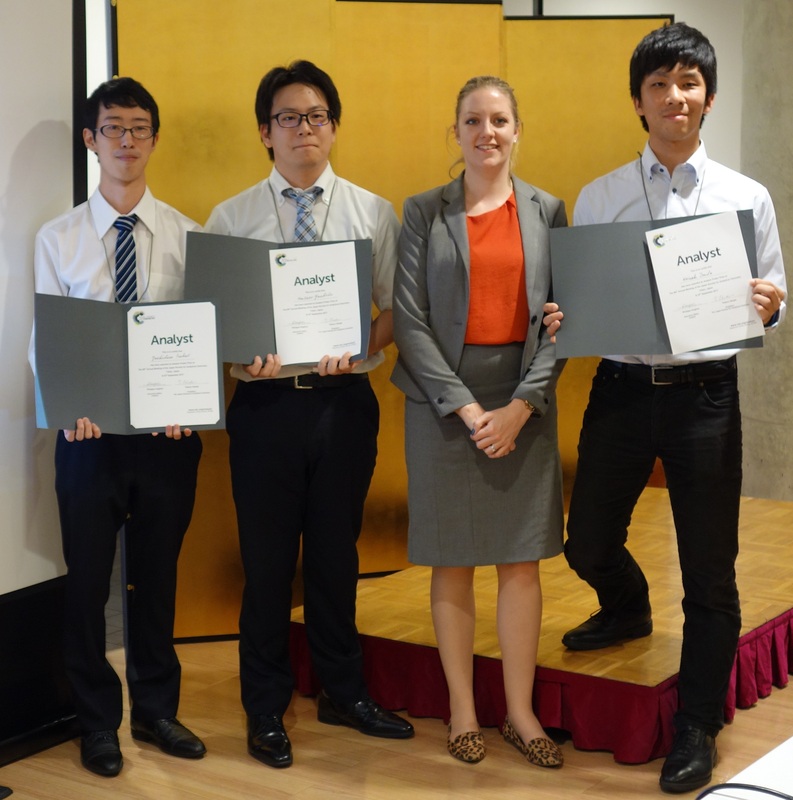 Tony presented his prize lecture on Tackling Global Health Challenges with Biosensor Technologies on the 9th of October. Congratulations Tony! 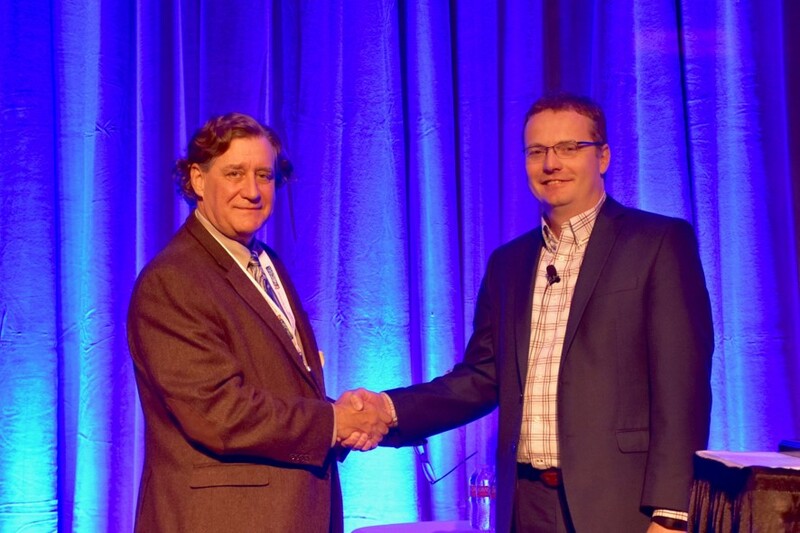 It also gives us great pleasure to announce that Analyst Chair Duncan Graham and Analytical Methods Editor-in-Chief Scott Martin both received awards at SciX 2017. The Charles Mann Award for Applied Raman Spectroscopy was awarded to Duncan Graham, who delivered his Plenary lecture “Mann up, SERS Can be Useful!” on Tuesday 10th October. Scott Martin was the recipient of the AES Mid-Career Award. 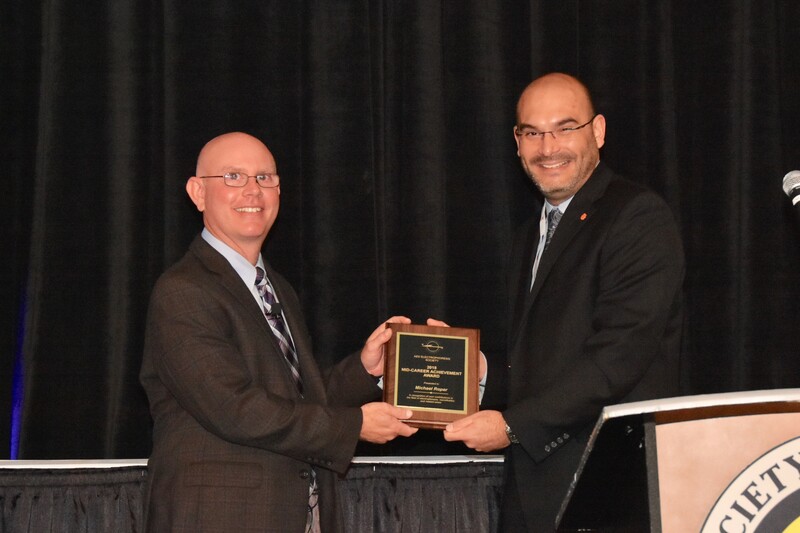 After being presented with his award, Scott delivered a plenary lecture titled “Using Microchip Electrophoresis and Electrochemical Detection to Investigate Cellular Communication”. We are extremely proud of Scott and Duncan. Congratulations on well-deserved awards. 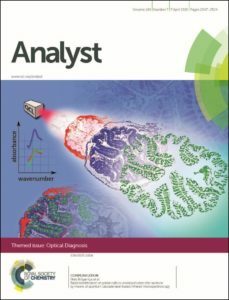 Maria Southall, Deputy Editor of Analyst and Analytical Methods, attended SciX and chaired two Royal Society of Chemistry sessions – the RSC Sensors for Cancer Diagnostics session and the RSC Award session. 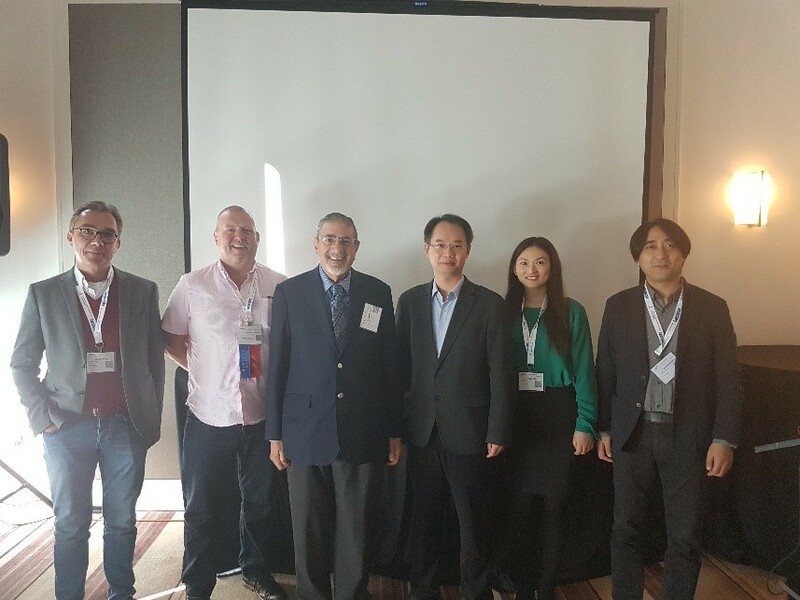 Both sessions featured excellent presentations from experts in the field of analytical chemistry. The RSC Award session showcased the work of Danny O’Hare (Imperial College London, UK), Eiry Kobatake (Tokyo Institute of Technology, Japan), Xian-En Zhang (Institute of Biophysics, Chinese Academy of Sciences, China) and Gianfranco Gilardi (University of Torino, Italy). At the RSC Sensors for Cancer Diagnostics session, Analyst Associate Editors Steven Soper (University of Kansas, USA) and Jean-Francois Masson (University of Montreal, Canada) presented some of their research, along with Analytical Methods Advisory Board member Amanda Hummon (University of Notre Dame, USA) and Peter Gardner from the Manchester Institute of Biotechnology. Thank you to all our session speakers! The 66th Annual Meeting for the Society of Analytical Chemistry was held from 9th – 12th September, 2017, in Tokyo, Japan. 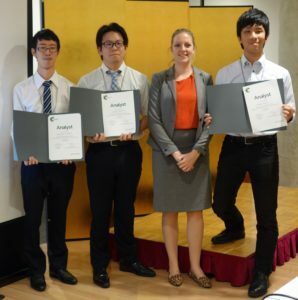 Analyst was honoured to sponsor poster prizes for the meeting. Our Executive Editor (Philippa Hughes) was also in attendance and presented the awards. 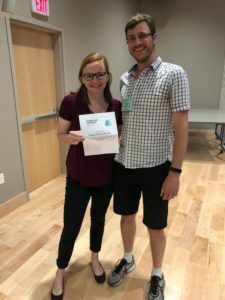 Congratulations to all of the poster prize winners!